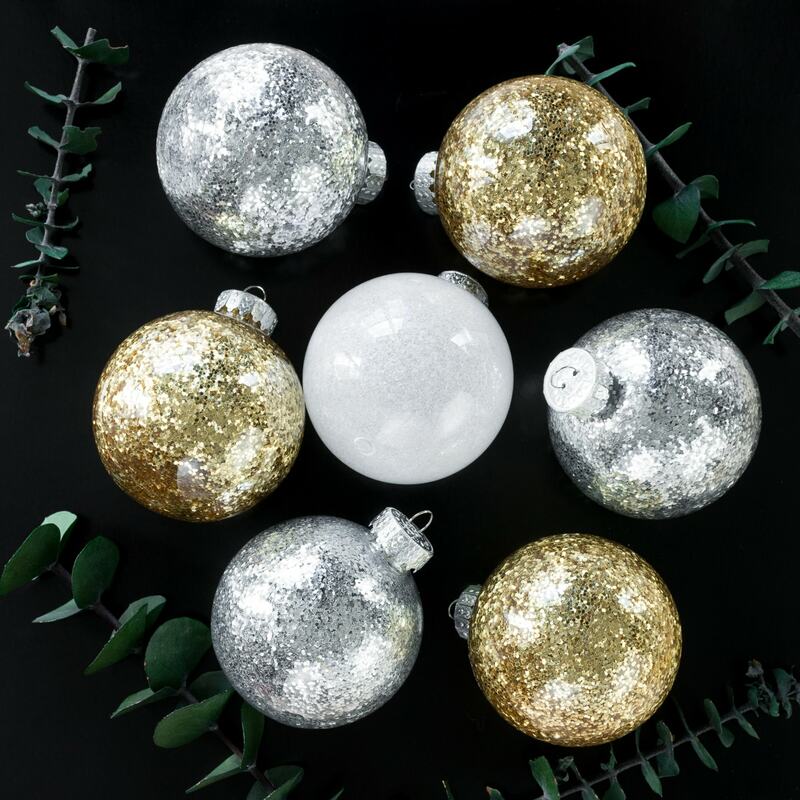 This post will share 7 DIY ideas for clear ball Christmas ornaments. 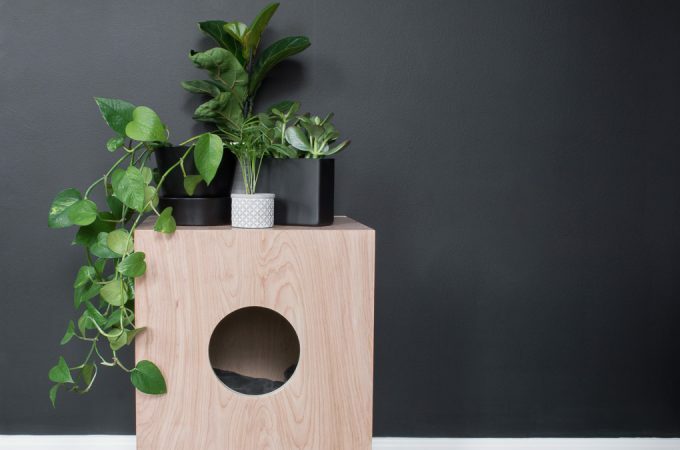 Each can be completed in under 30 minutes with easy-to-find supplies. So let’s run through them! These are so easy but so beautiful. They use floor cleaner (yes, floor cleaner!) to achieve a beautiful glittered effect. 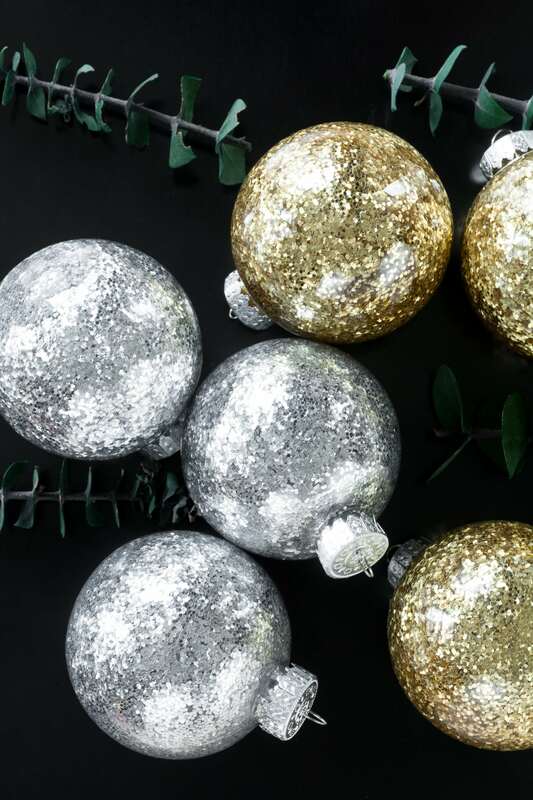 Best of all, the glitter is contained on the inside of the ornament, so glitter doesn’t shed all over your house. That’s why I call them almost no-mess glitter ornaments. You’ll probably make a bit of a mess when you’re creating them because glitter is seriously impossible to contain. But once the ornaments are sealed, the glitter is sealed, too. 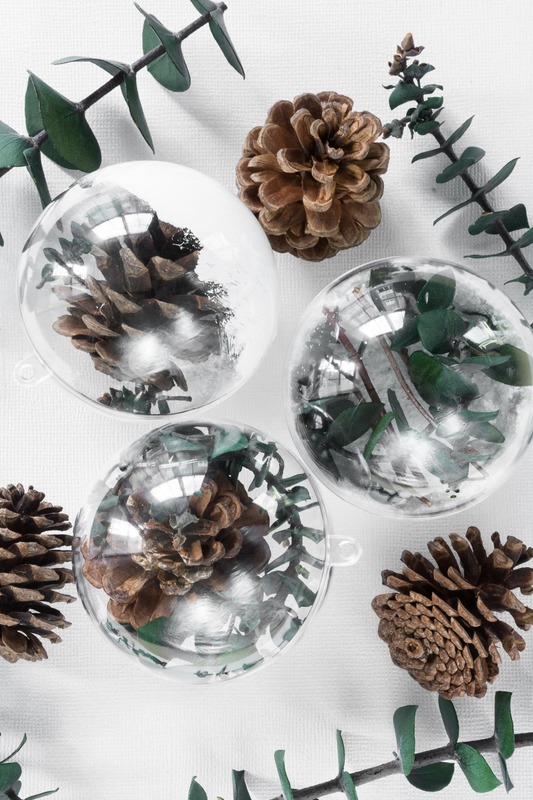 These winter-themed ornaments use the kind of clear ball ornament that can be broken in half. I used some paintable fake snow on the inside of these and added pinecones, eucalyptus, and some very fine white glitter. The faux snow will help the natural materials in the inside stand out while on the tree. I didn’t want them to just blend in to the green tree. I have been wanting to try alcohol ink for a while. I was worried about the black coming off as brown, but this stuff is awesome. Super pigmented. 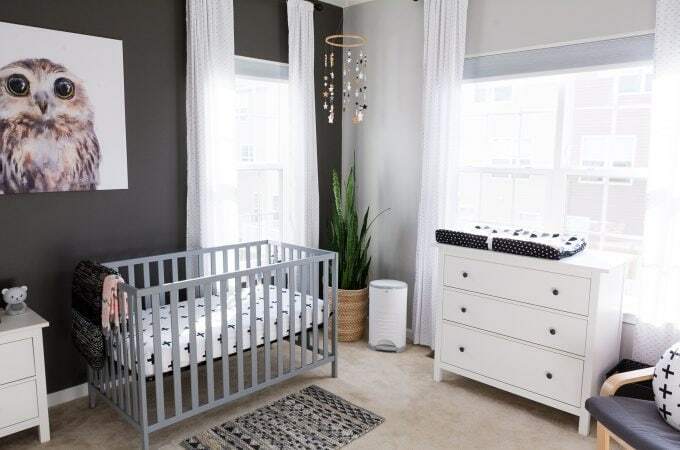 I liked the metallic colors, too. 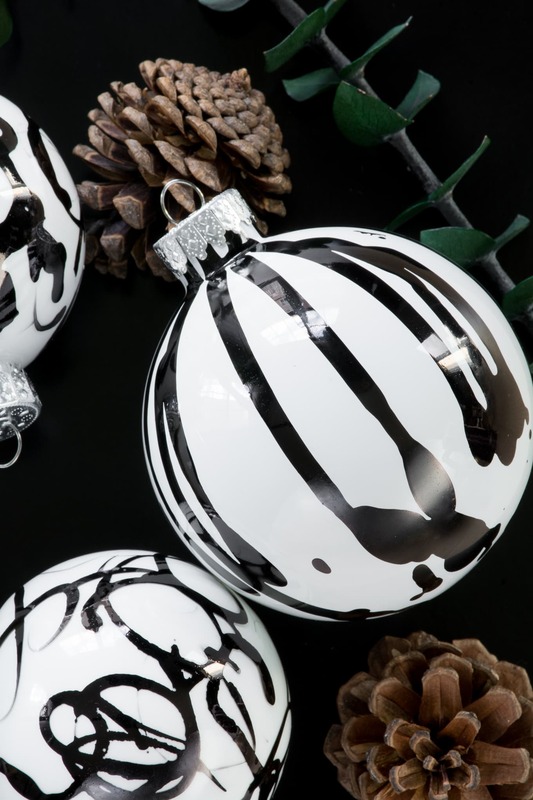 I love the abstract graffiti-like patterns the ink made on these ornaments. My favorite is the one in the second pic. This is not a new technique, but I couldn’t wait to try it. I’m really pleased with how they turned out, too. I used a simple paint pour technique to create a faux marbled effect. Using metallics along with the flat colors also turned out great too. For these ornaments, I used a thick texture paint for the first time. I was worried they’d take forever to try, but the paint is designed to keep it’s shape and dry in a normal amount of time. What do you think? I think they turned out beautifully. Not my first time working with gold leaf—I love it! It’s messy but always beautiful and usually pretty forgiving. I used gold leaf sheets for this project, not liquid gold leaf. 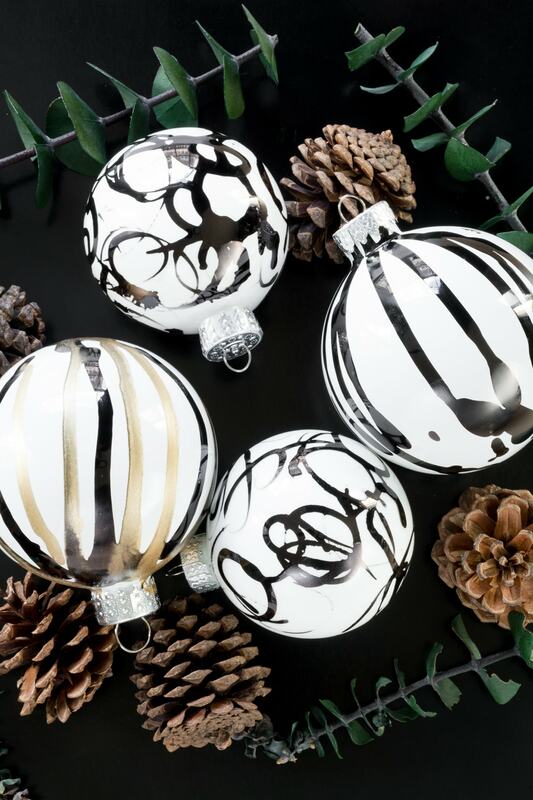 And last but not least, these ornaments do double duty. 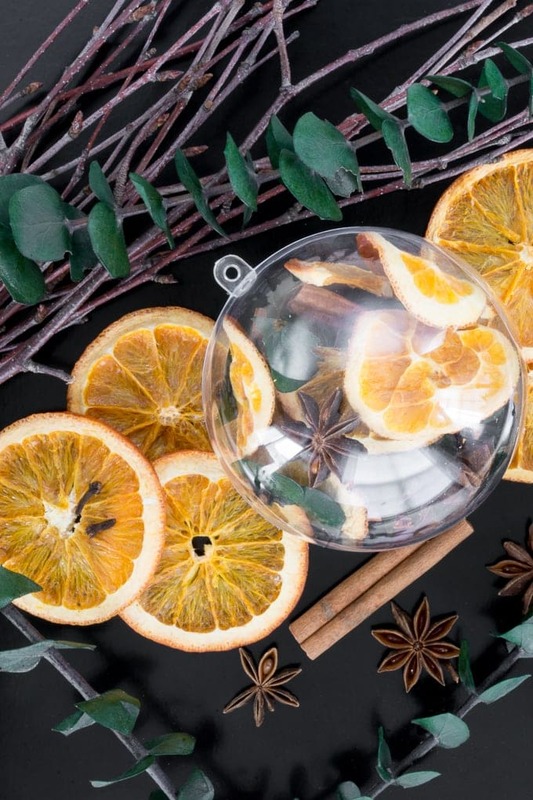 They look beautiful on your tree, but when you’re ready to use them, you can open them and dump the stovetop potpourri into a pan. I love using stovetop potpourri in the fall and winter. 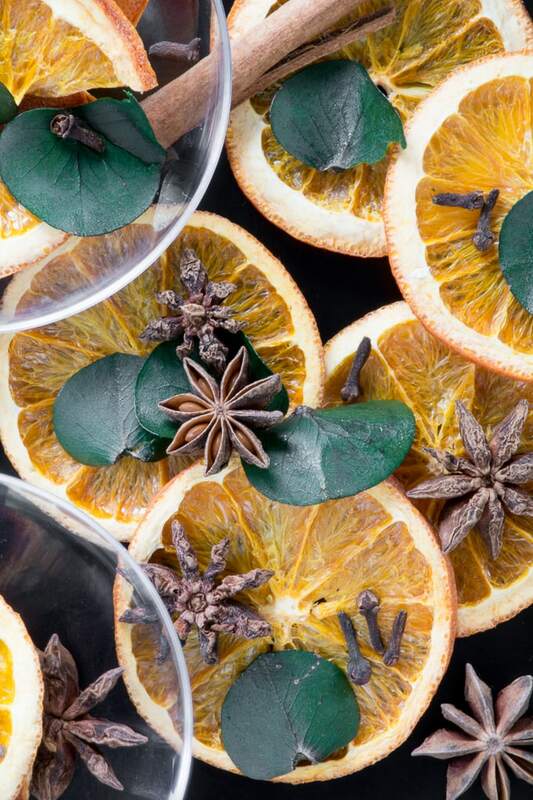 You can even use scraps, and it makes the house smell amazing.